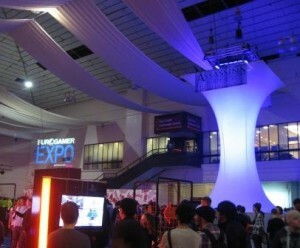 The Eurogamer Expo is the UK’s biggest dedicated video games event. Join Interactive Selection in London this October 1-3 2010 to play some of the most anticipated games for this Christmas and beyond, hear from some of the world’s most talented developers, take part in tournaments to win great prizes, check out the indie arcade and talk about jobs in the industry via the GamesIndustry.biz Career Fair. The following organisations have representatives and want to meet you •BAFTA ,•Birmingham City University , •Creative Assembly , •Crytek, •EA Playfish, •Foundation 9 ,•Jagex, •Keen Games , •Microsoft’s Rare studio ,•Mind Candy ,•Relentless Software, •SEGA , •Train2Game , •University of Abertay, •University of Bradford. The show is at The Brompton Hall, Earls Court, Warwick Road, London. Nearest tube is West Brompton. 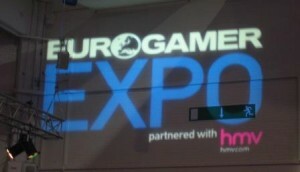 Game Careers will be posting a full video report on the show next week.